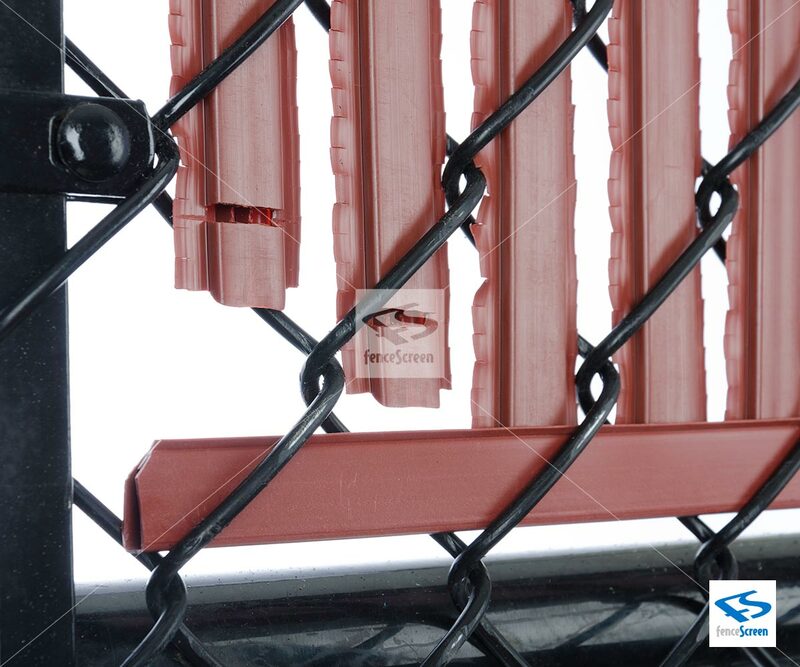 The 5000 Series of fence slats is the answer when you need increased privacy and security. 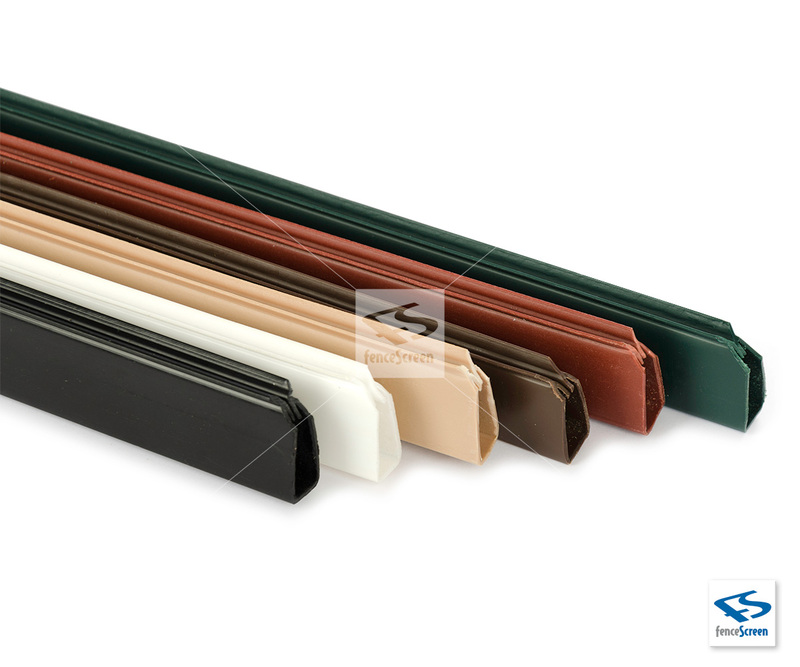 The 5000 Series Blade Slats are the answer when you need increased privacy and security. 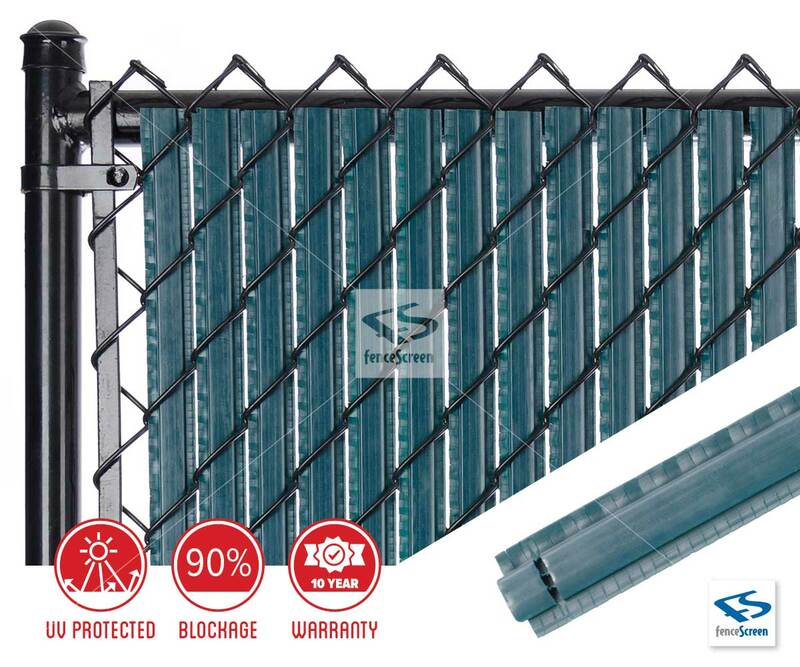 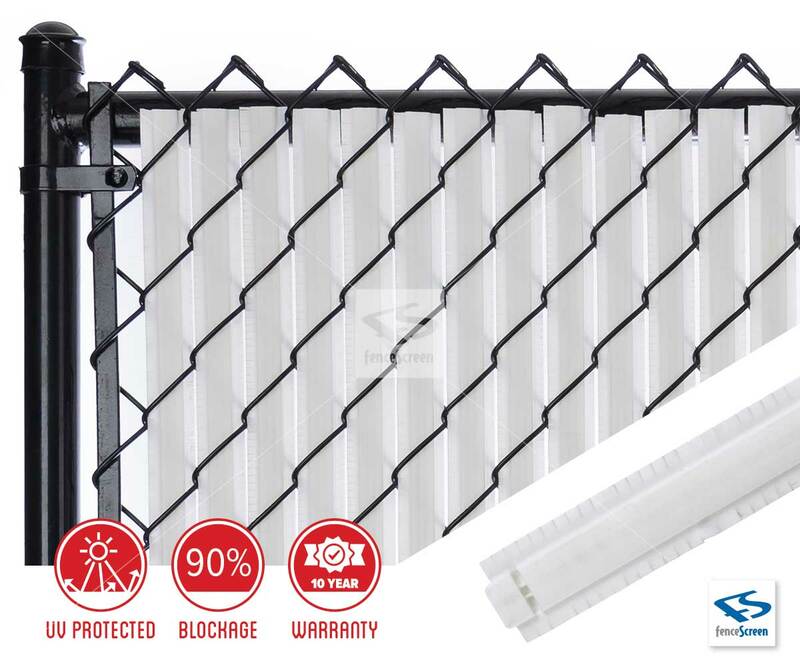 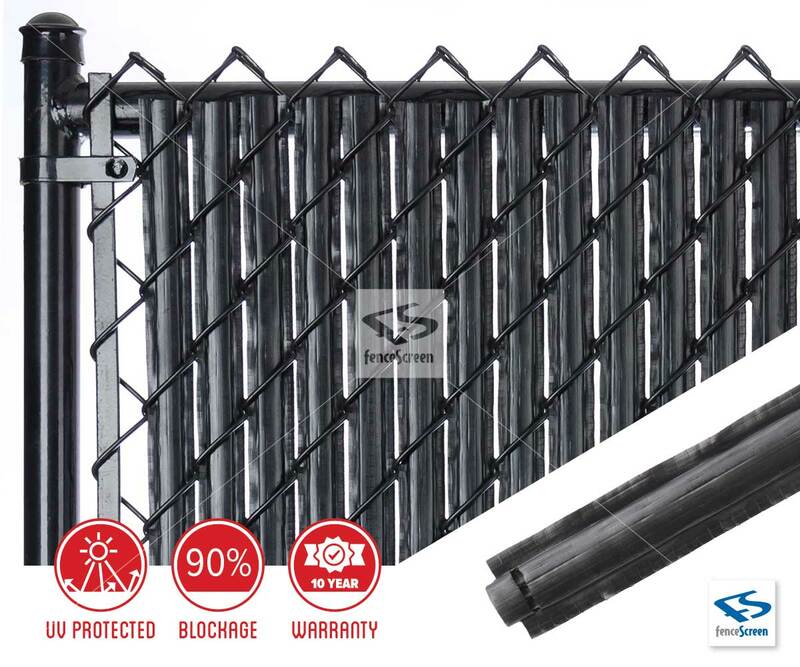 Designed for both residential and commercial chain link fence*, the 5000 Series Slats offers increased coverage with approximately 90% privacy and a clean finished look. 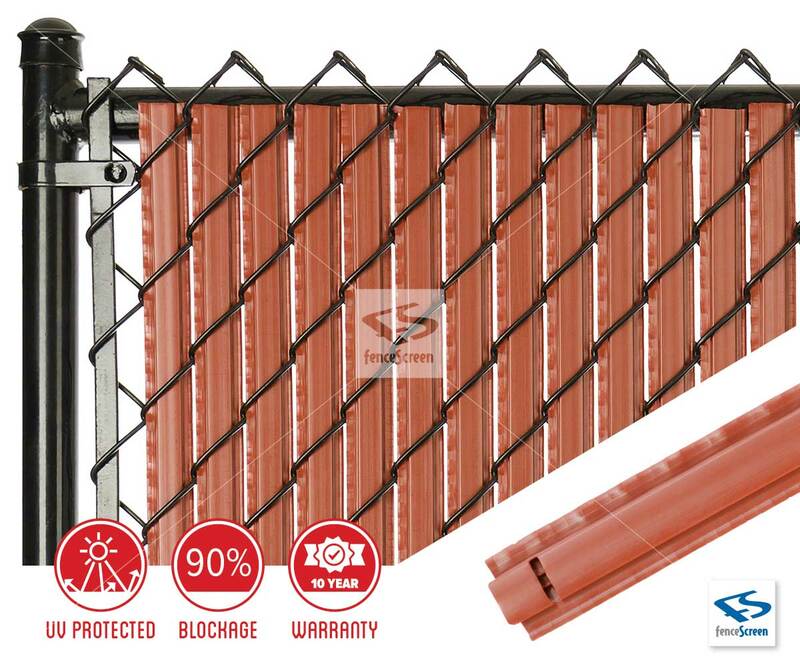 These slats feature a unique patented design that includes a ridged tubular body with reinforced legs inside and flexible serrated “blades” on the sides of the slat’s flat-tubular body that are bottom-lock and allow the slats to be easily installed. 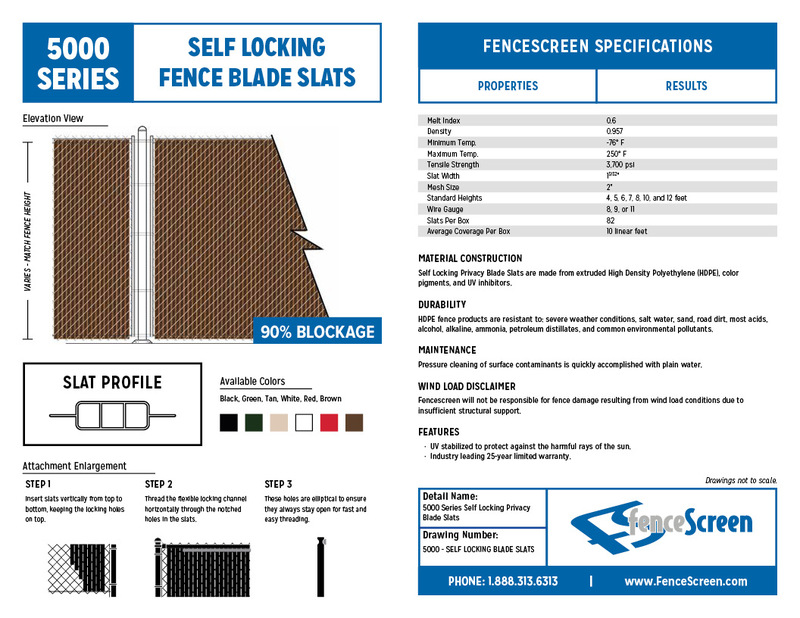 Features a unique patented design that includes a ridged tubular body with reinforced legs inside and flexible serrated “blades” on the sides of the slat’s flat-tubular body that are bottom-lock and allow the slats to be easily installed. 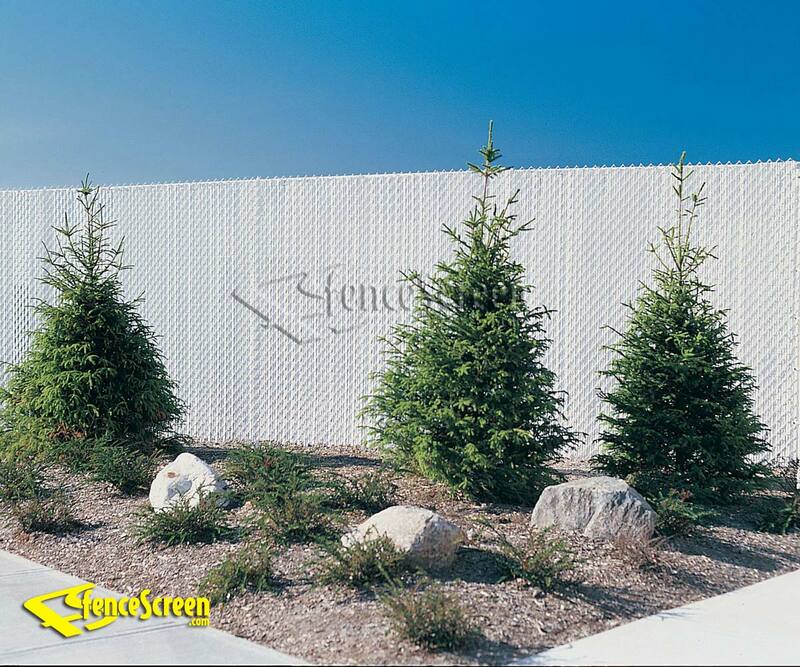 Each bag contains enough privacy slats to cover approximately (10) ten linear feet of fence. 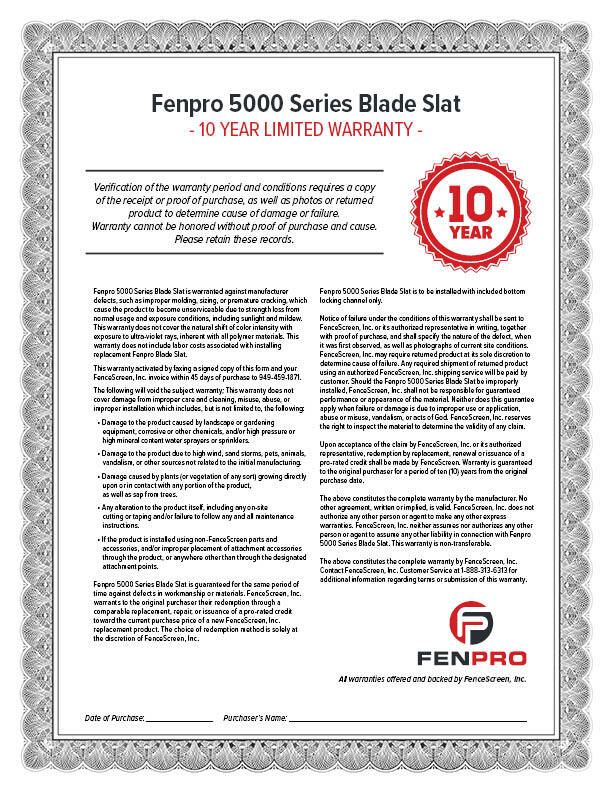 4’, 5’, or 6’, (actual slat height is 3 1/2“ shorter than nominal height).